Michelle Schroeder-Gardner was not a typical 20-something. By age 23, she had worked for almost a decade, earned three college degrees, gotten married and bought a house in Missouri. She graduated with $38,000 in student debt. Applying her characteristic drive, Schroeder-Gardner decided she would pay it off as fast as she could. For seven months, she balanced a full-time job in finance with every side hustle she could take on to ditch debt. Eventually, Schroeder-Gardner turned one of her side hustles — writing and managing her blog, Making Sense of Cents — into her sole job. 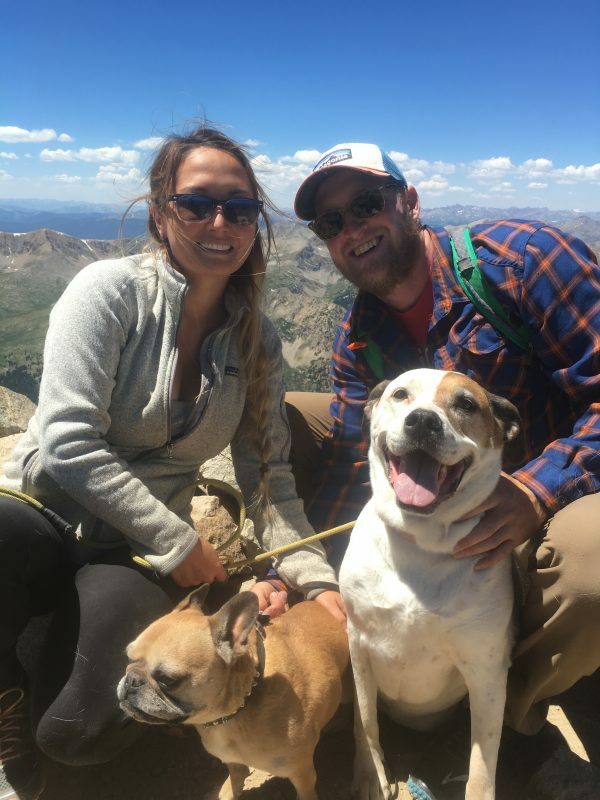 She says the blogging work has her on track to earn a seven-figure income and gives her enough flexibility to travel the country full time in an RV with husband Wesley and their two dogs. Schroeder-Gardner, now 28, says she and Wesley, who works on the blog with her, make money through advertising, affiliate marketing arrangements with companies that pay for referrals, and her online course on how to make money from blogging. In 2012, I had $38,000 in student loan debt from three college degrees, including my finance MBA. We also had a mortgage. I have no debt today. I ended up with student loan debt because I didn’t really think about how it would impact me after I graduated. I figured everyone else had debt, and that it was just a normal path. I had been working since my teens, but I still didn’t manage my money to the best that I could. When I was 18, my father passed away, and I was on my own, living paycheck to paycheck. Thankfully, I did not have any credit card debt. It happened when I received my first student loan bill in the mail. It was for a large amount of money, and I knew I did not want to be paying that for a decade or two. It was almost as much as my monthly mortgage payment, which was around $1,000. The main thing I did to pay off my debt was find ways to make extra money. Cutting your budget is great but there’s only so much you can cut. You can always try to make more money. My salary at my day job was around $50,000 a year. My husband was a car salesman, so his income changed every month. It was between $40,000 and $80,000 a year. So, I ramped up the side hustles I was already doing. I worked on my blog, sold items around my home, took surveys, mystery shopped, took part in market research studies, and more. My husband took part in a few medical research studies. Working long hours was definitely the hardest part. I was working around 100 hours a week between my day job and all the side jobs. I couldn’t do it now. It was easier when I was younger, and I was fine with less sleep [laughs]. Honestly, just watching my debt go down kept me motivated, because I could see the end goal. Soon after I paid off my student loan debt, I left my day job as a financial analyst and decided to blog full time. We sold the house in 2015. Now, my husband and I and our two dogs travel around the country. We are trying to build up our retirement funds so we can retire before age 30 if we want to. We have a high income and low expenses, so we have no reason to take on debt. We try to save as much as we can. First, write down why you want to be debt-free. Think about how you will feel when you achieve this goal and use it as your motivation. Next, add up how much you owe on all kinds of debt. NerdWallet recommends paying off high-interest debt like credit cards or payday loans before you tackle student debt. If you don’t want to pay off your student loans early but want a lower payment, consider refinancing the loan. Now assess your cash flow to figure out how you can free up money or whether you need to earn extra income to put toward debt. Before you tackle debt, set aside money for an emergency fund. This is crucial because it will prevent you from borrowing when expenses pop up. Five hundred dollars in the bank is a good place to start.